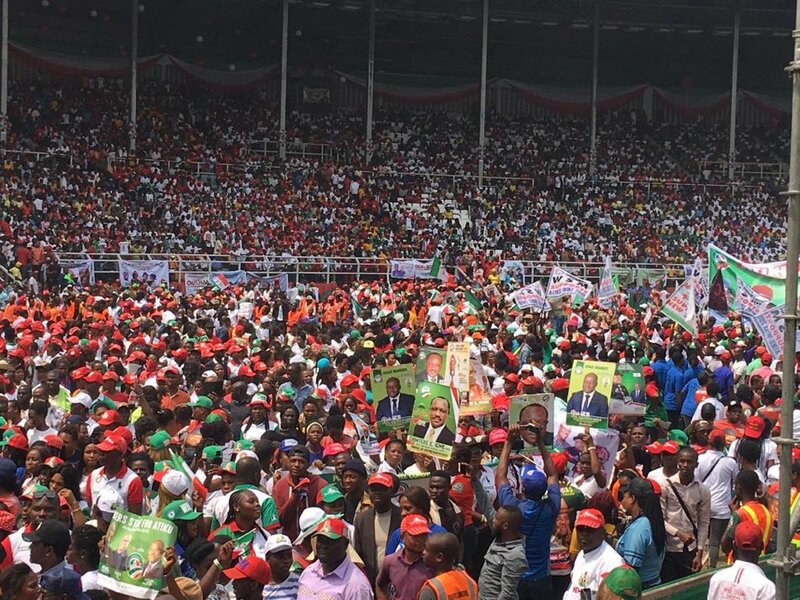 PDP presidential candidate Alhaji Atiku Abubakar took his campaign to the oil rich rivers state and traditional home of the PDP. 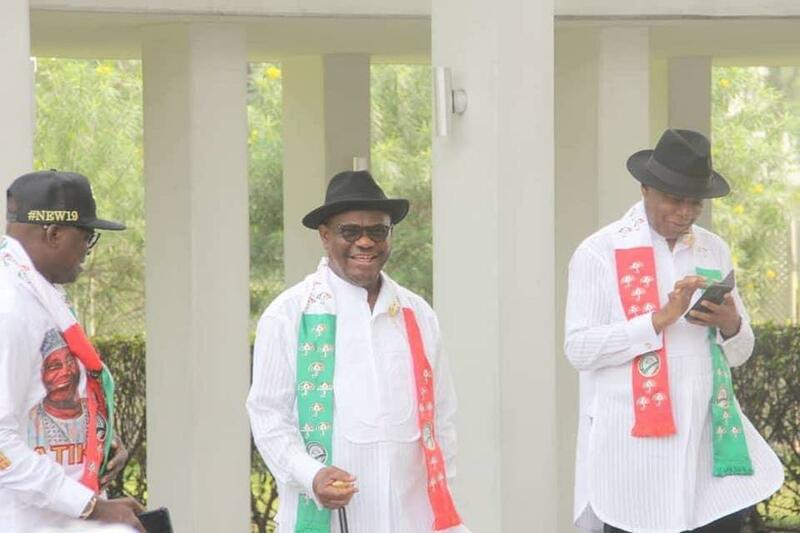 Rivers state Governor,Barr. 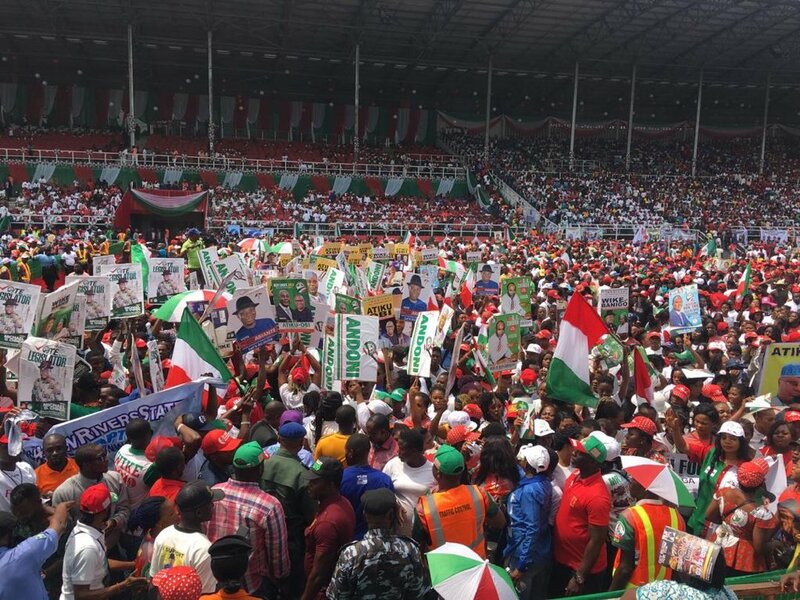 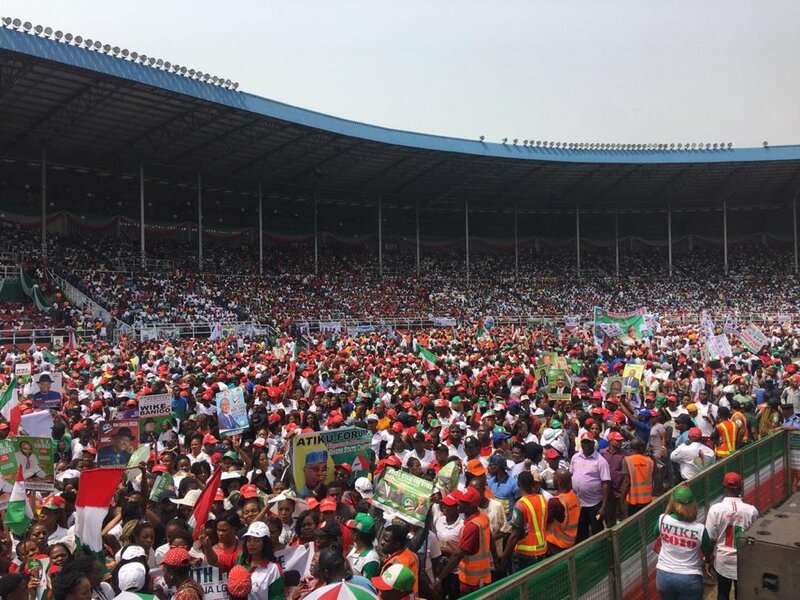 Nyesom Wike mobilised the party,s supporters in the state to come listen to the #LetsGetNigeriaWorking message to be delivered by Atiku and the Adokiye Amiesiamaka stadium was filled to capacity by a cheering mammoth crowd.